Saving Hopeless Teeth - Edward M. Feinberg, D.M.D. Edward M. Feinberg, D.M.D. Saving Hopeless Teeth - Edward M. Feinberg, D.M.D. Hippocrates famous saying is “first, do no harm”. Where there is no disease, it is usually better to retain one’s own teeth. (An exception would be extraction for orthodontic correction). 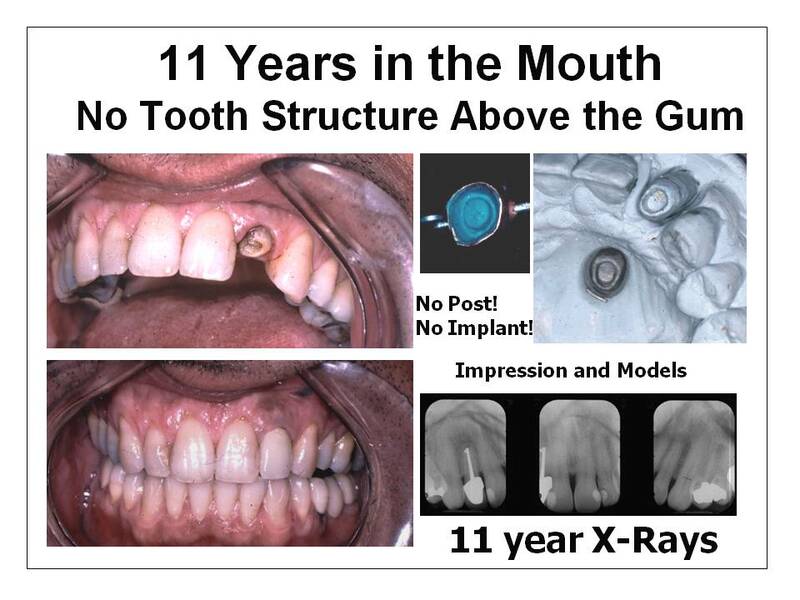 Teeth can always be extracted; and in truth, no one can predict how long even the most “hopeless” of teeth can last. There have been many instances where teeth condemned as “hopeless” by dental practitioners have lasted in health for many years after corrective treatment—often in spite of diabetes, cancer and heart disease! It never fails to amaze me how long these teeth actually last when all the deformities are corrected. Miracles can happen! 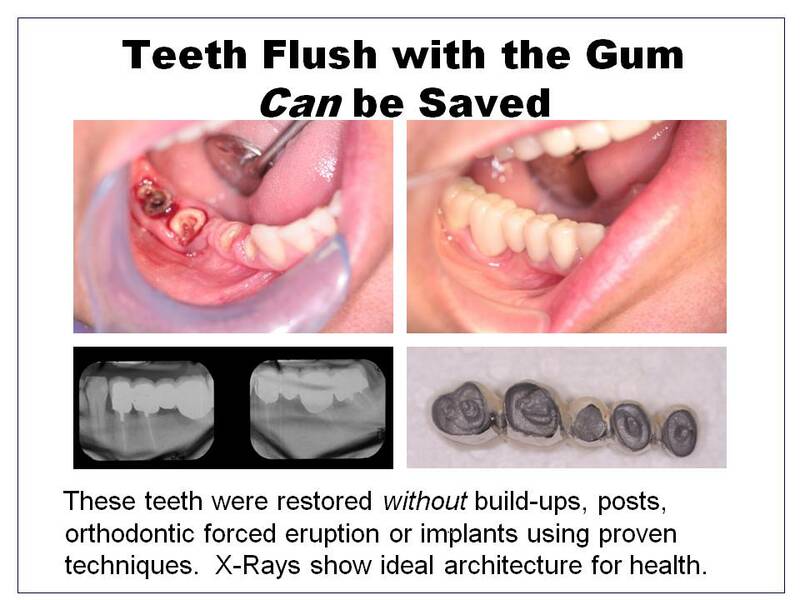 It is a common misconception that teeth flush with the gum are hopeless and cannot be saved. Teeth that have no tooth structure above the gum are not hopeless! Tooth structure above the gum is actually meaningless. It is the tooth structure below the gum that determines whether a tooth can be saved. Most techniques taught in dental schools require tooth structure above the gum in order to save teeth. However, there is a precision technique for restoring teeth that focuses on the tooth structure below the gum and does not require build-ups or posts. Crowns made with this technique can actually be worn without cement and they do not fall out. Teeth that are truly “hopeless” can, in fact, be quite useful. They can facilitate gradual transitions that are much kinder to patients than drastic changes. Most patients, for example, have a great deal of difficulty adjusting physically and psychologically to an “immediate” denture—i.e. a denture that is placed in the mouth the day all the teeth are extracted. Saving “hopeless” teeth can provide great comfort and peace of mind to patients by easing the transition. A few strategically saved “hopeless” teeth can also facilitate the interim comfort and healing of implants.